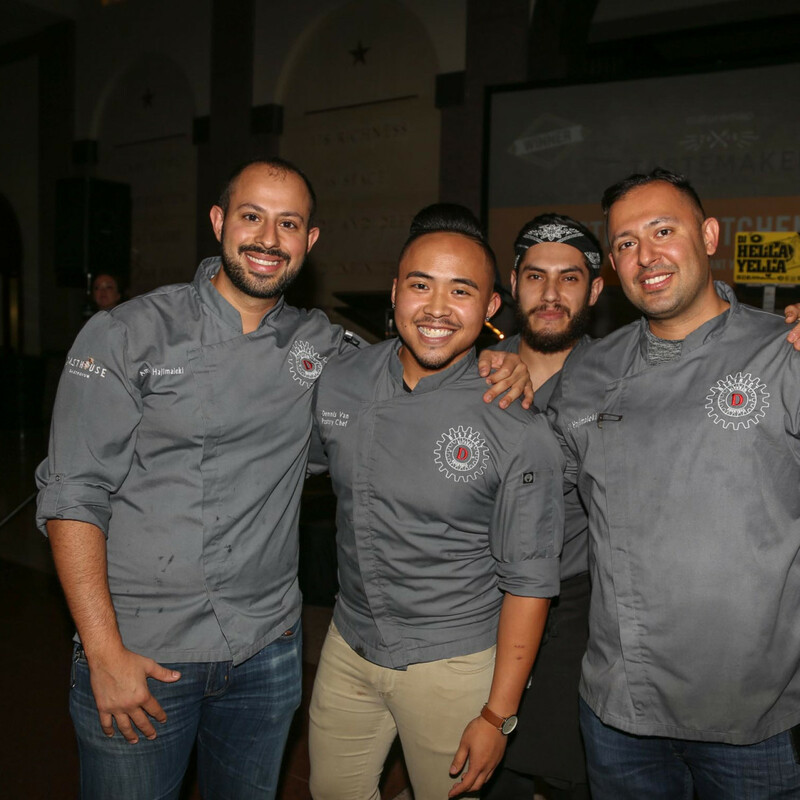 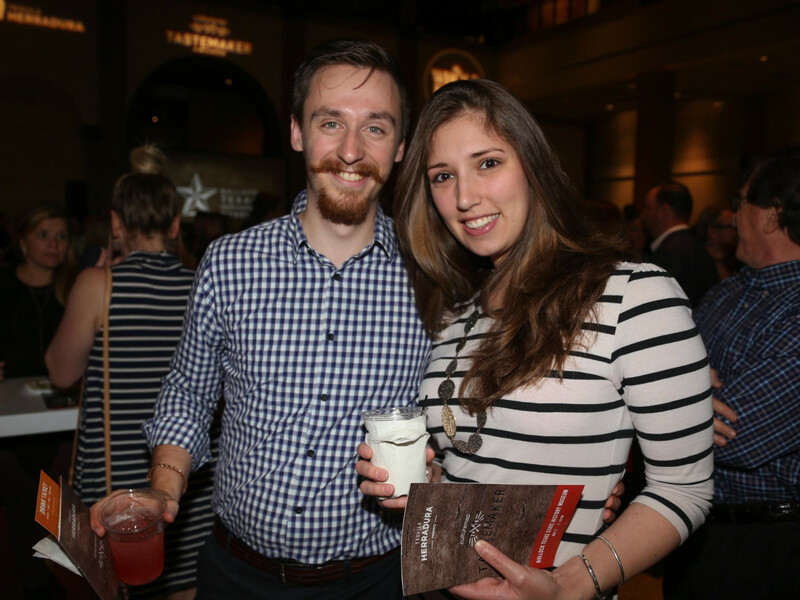 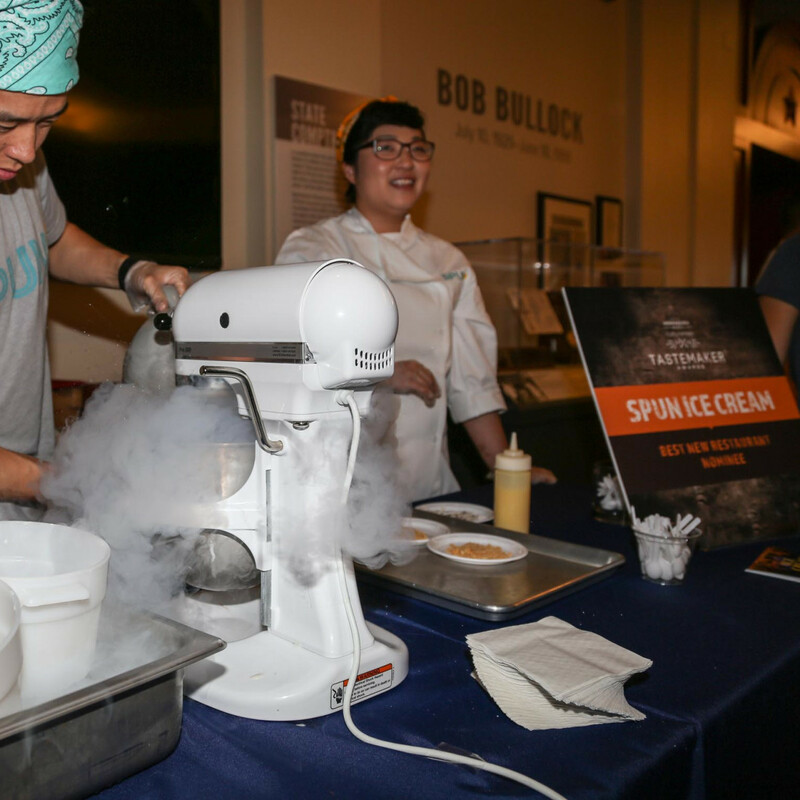 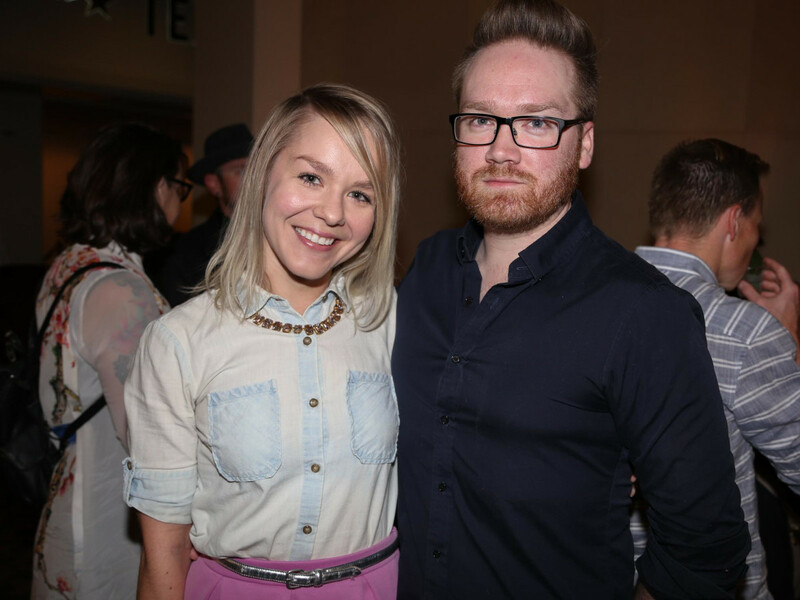 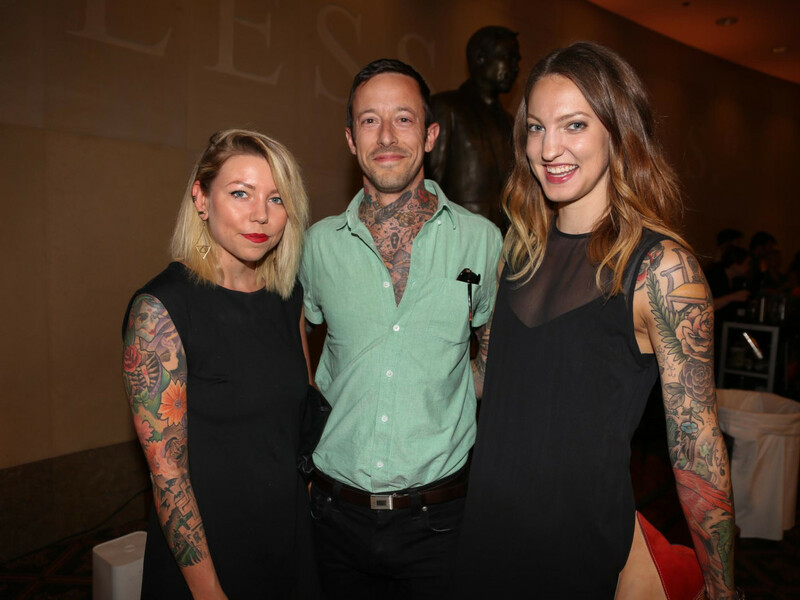 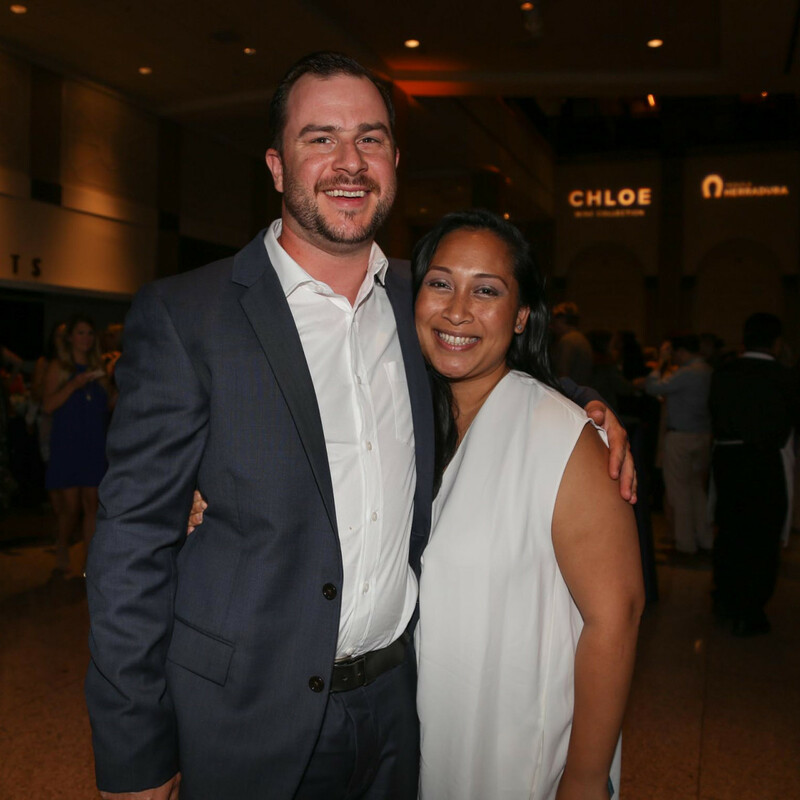 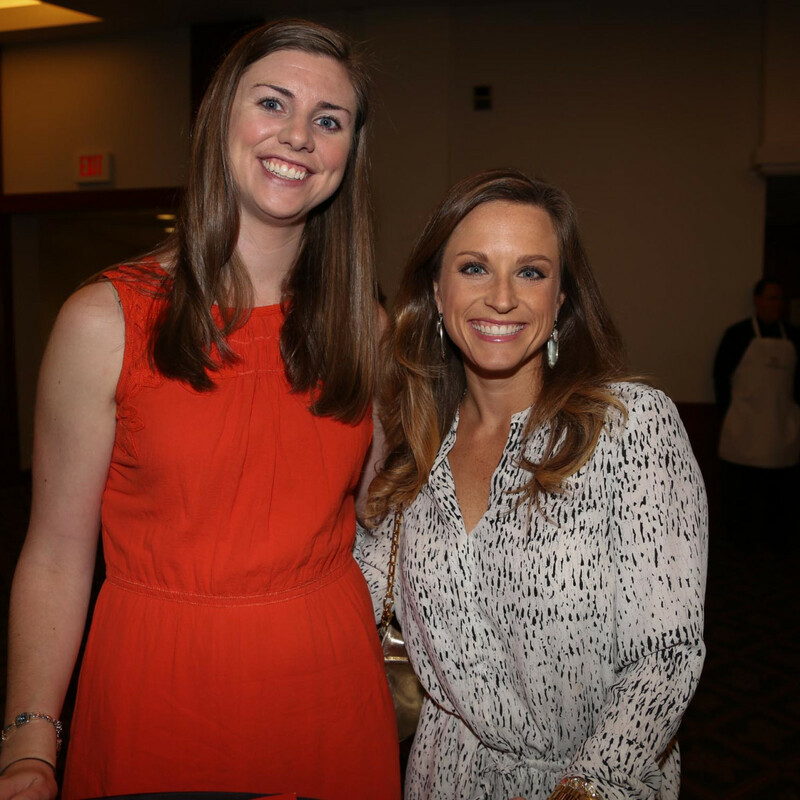 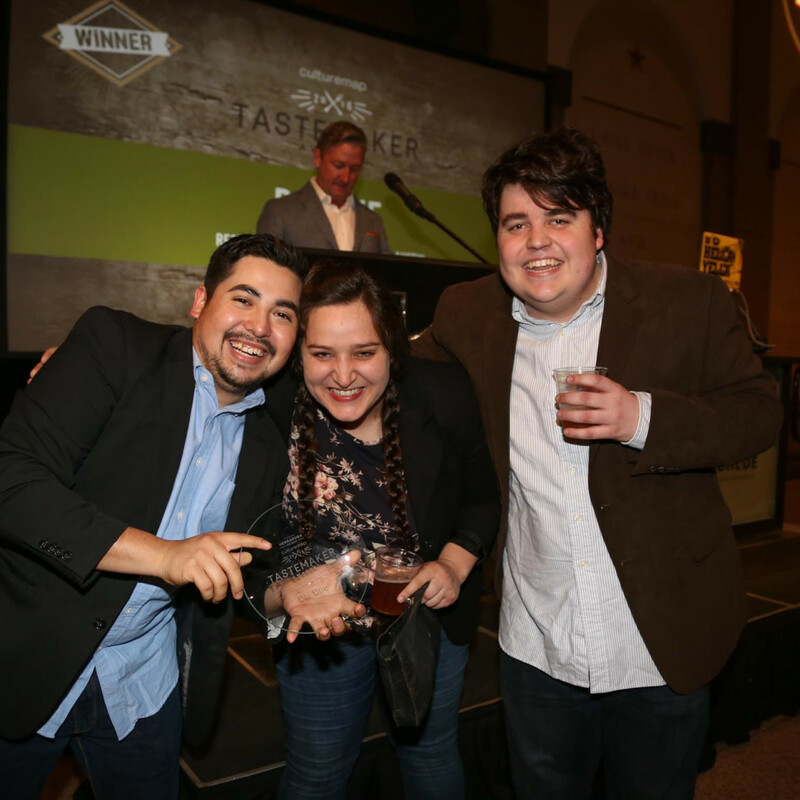 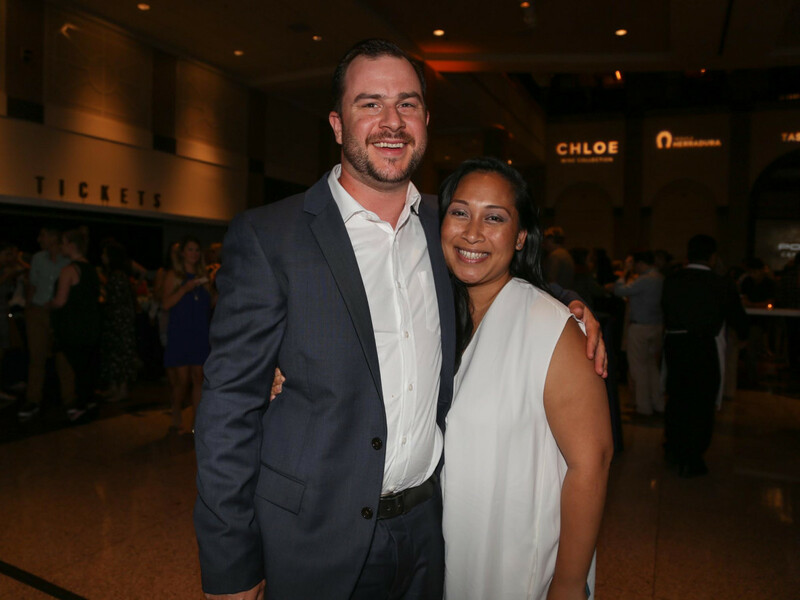 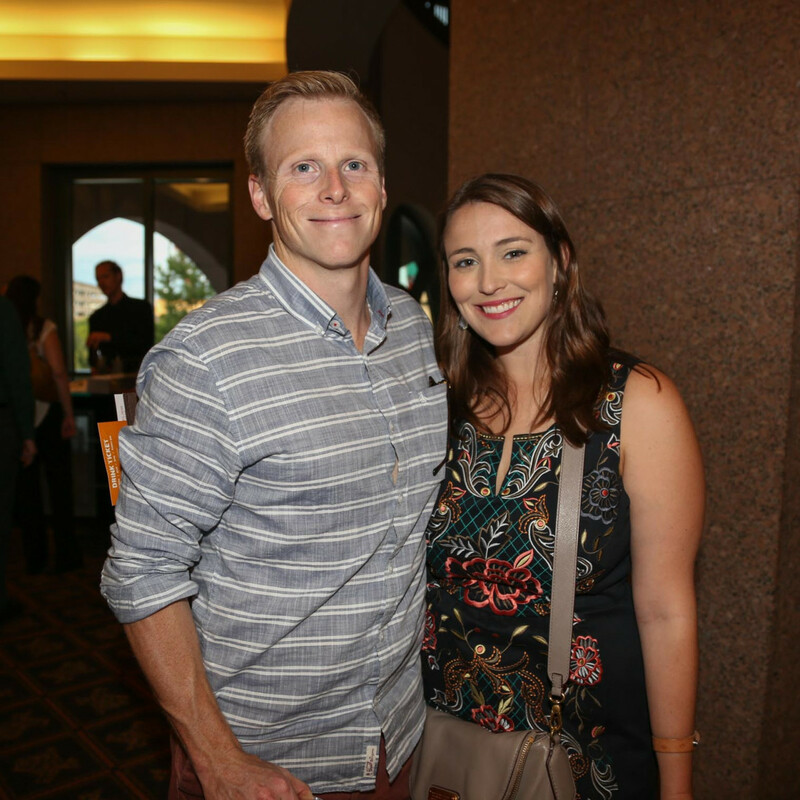 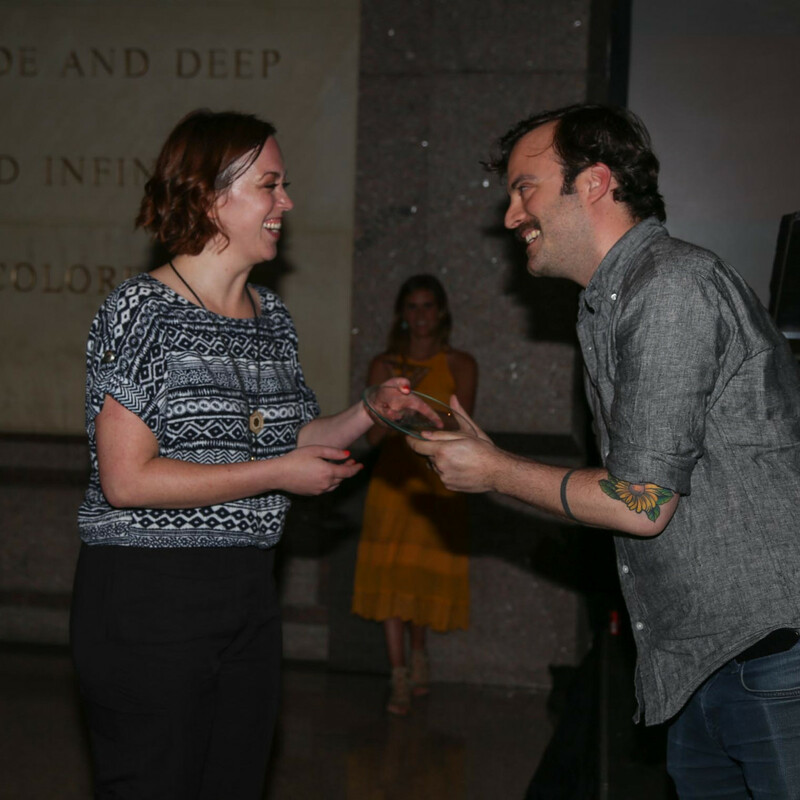 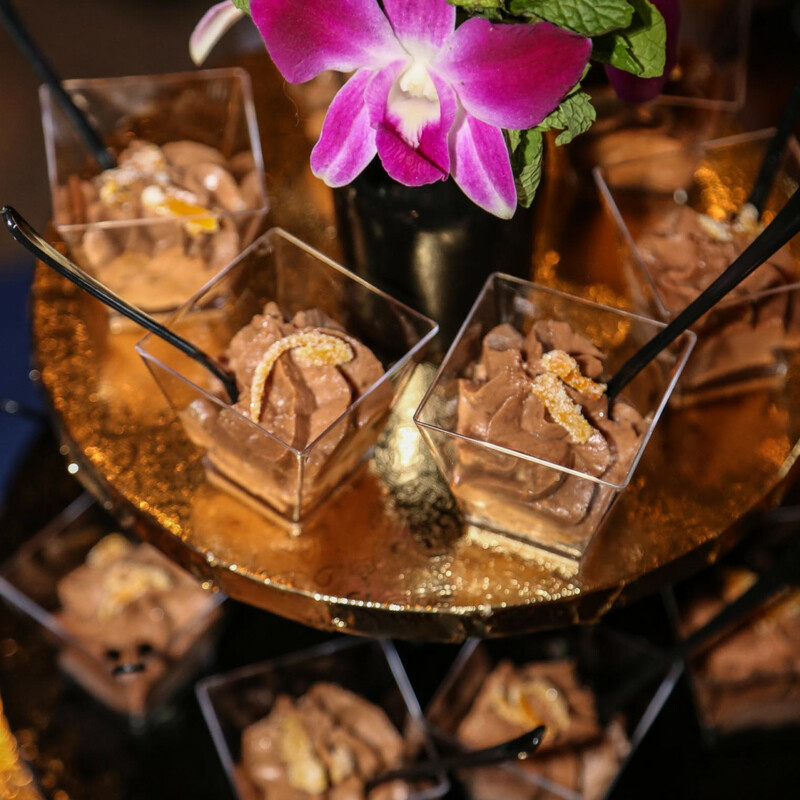 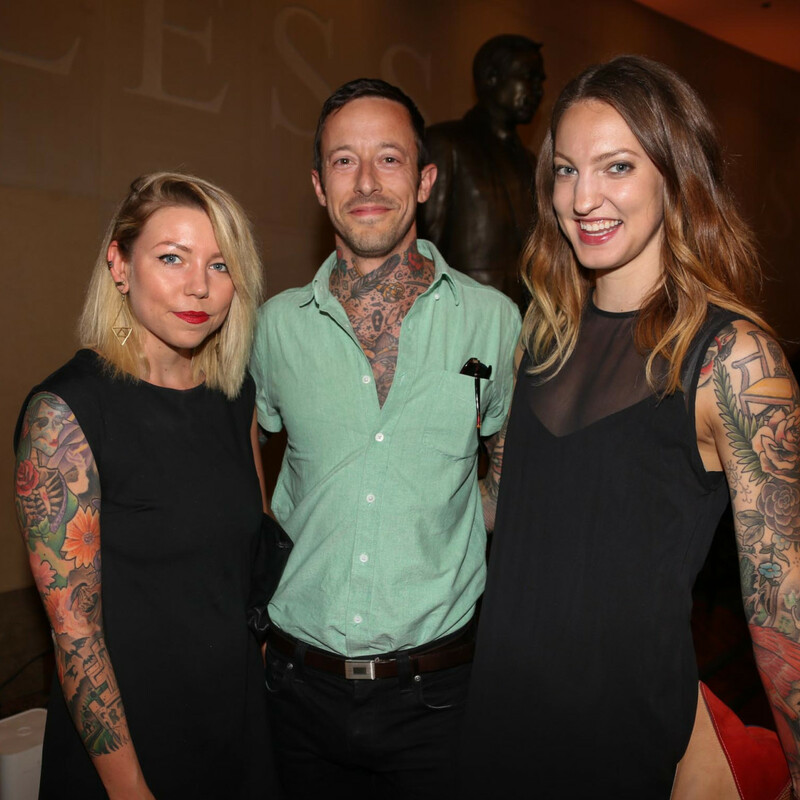 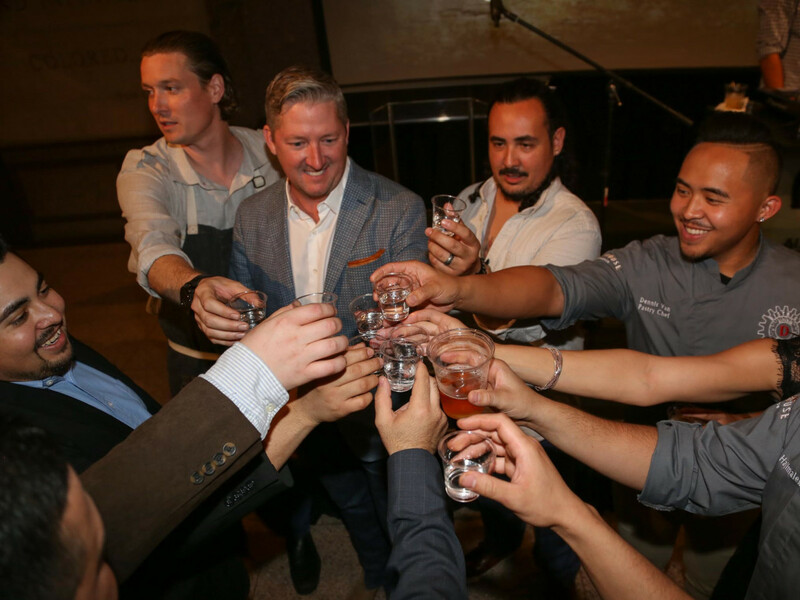 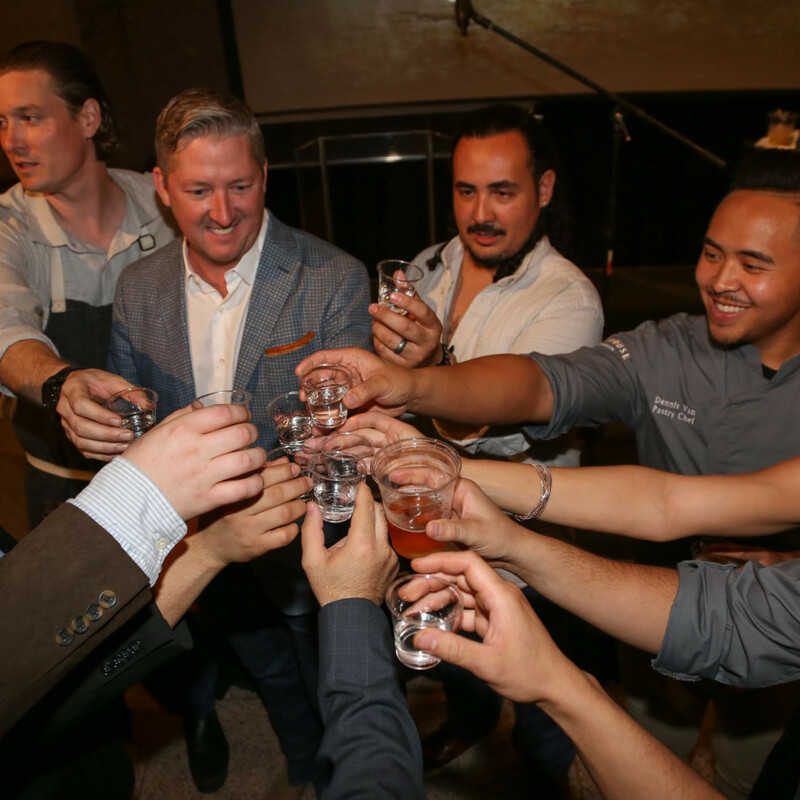 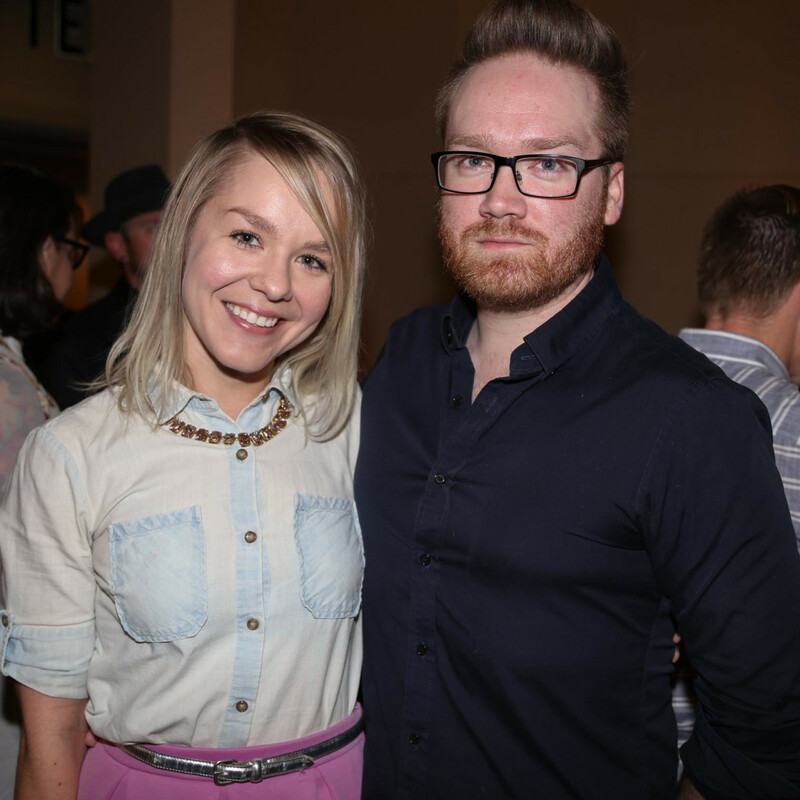 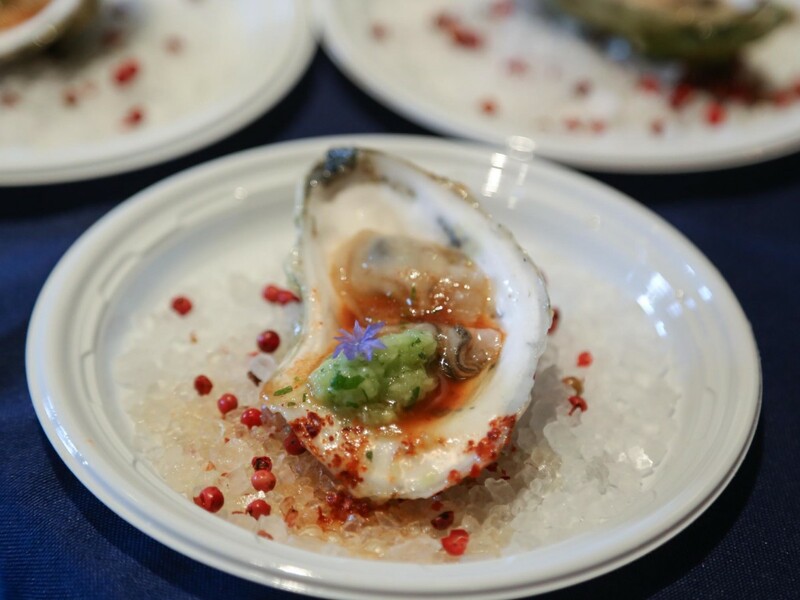 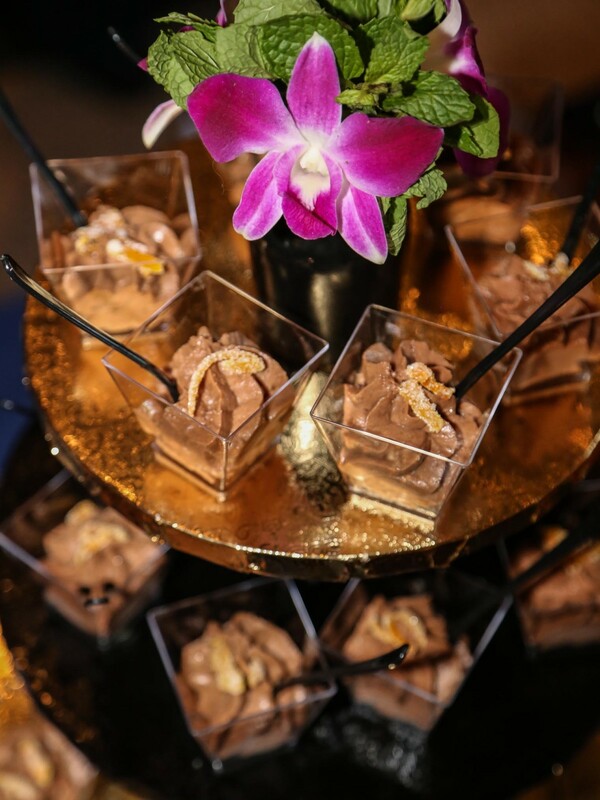 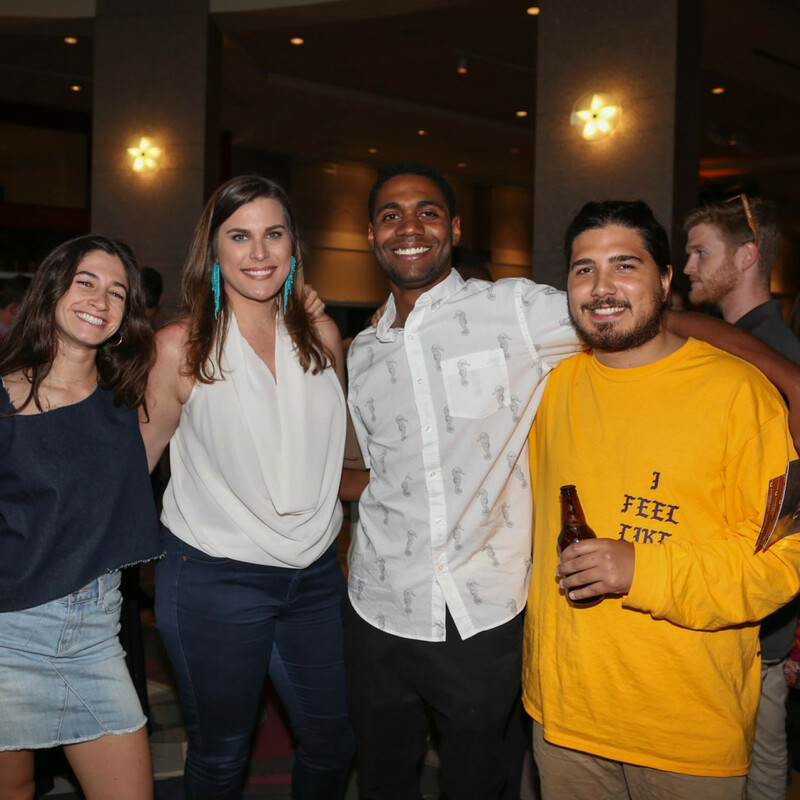 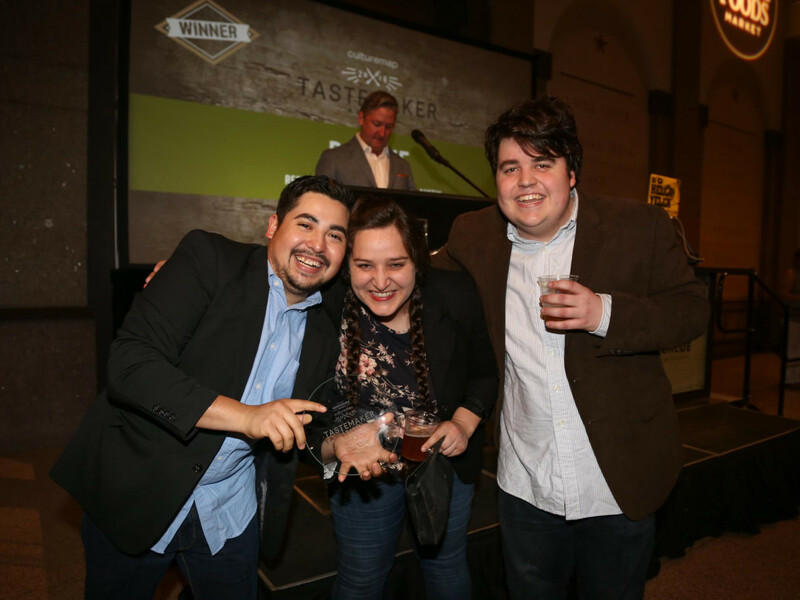 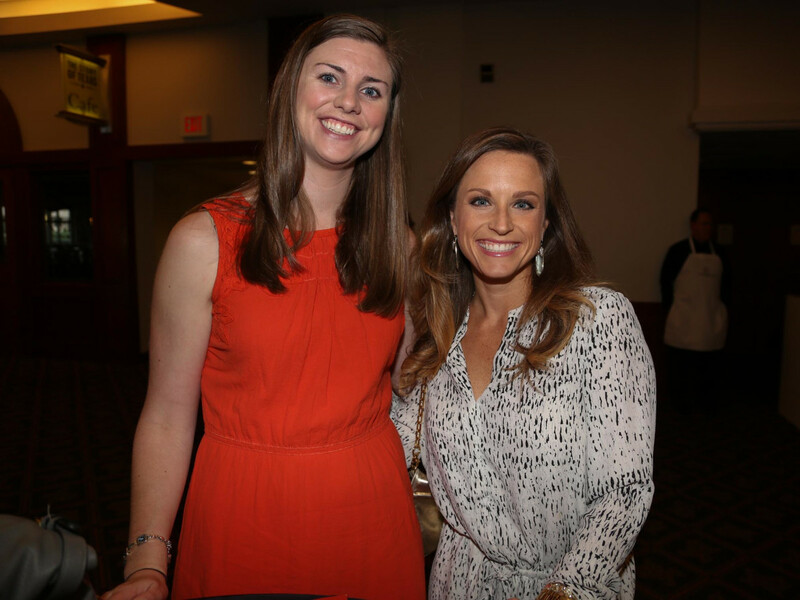 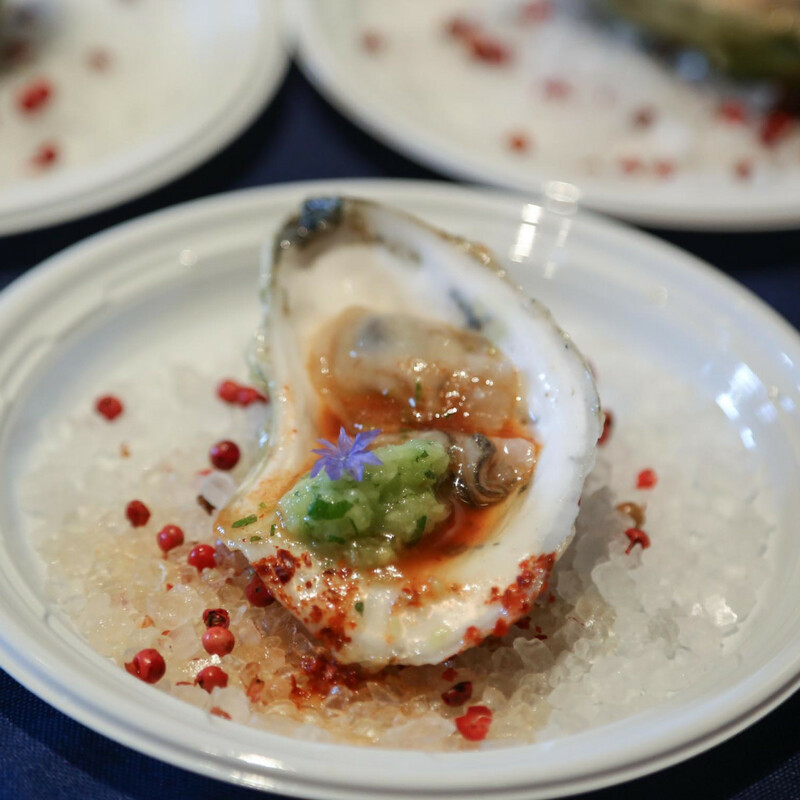 Foodies flocked to the Bullock Texas State History Museum Tuesday night for the fifth annual Tastemaker Awards to celebrate Austin and San Antonio’s top talent in the food and beverage industry. 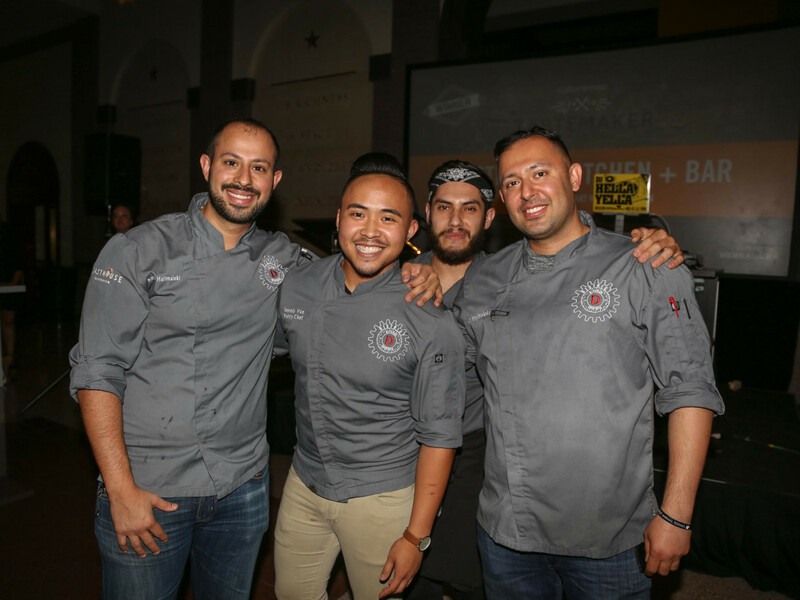 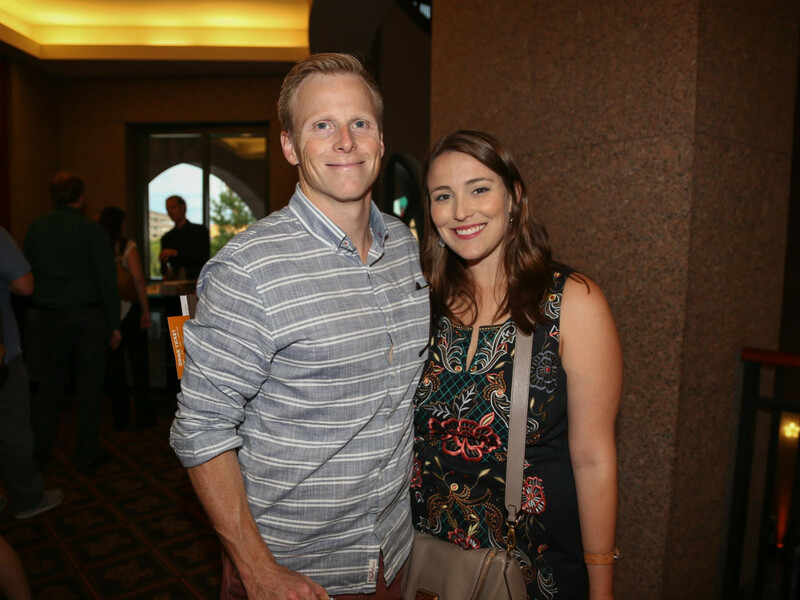 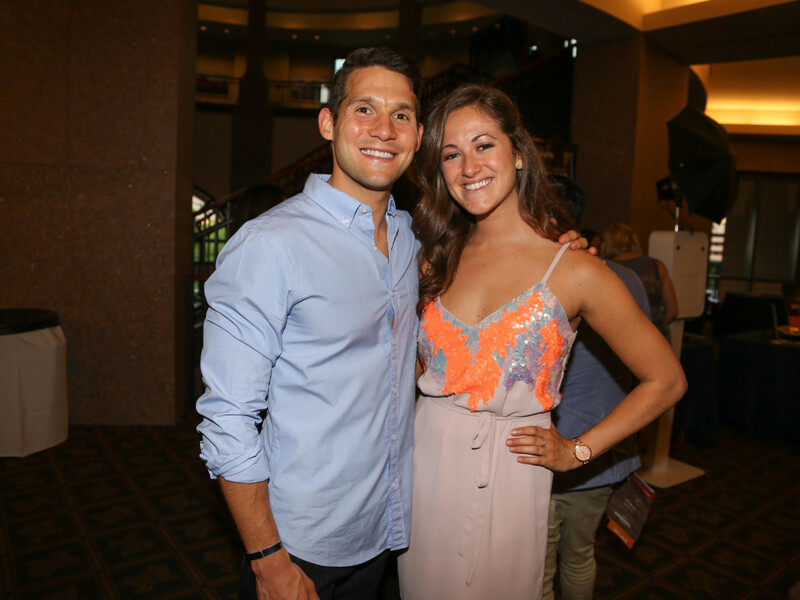 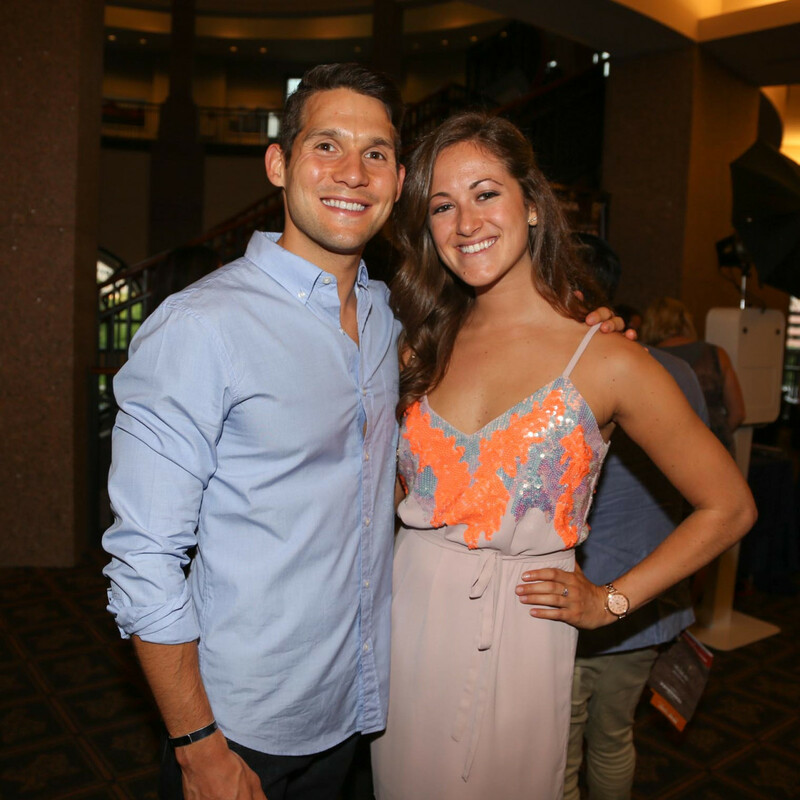 Nearly 800 people packed into the venue to enjoy the amazing food, drinks, and entertainment, and to find out who would walk away as the evening’s big winners. 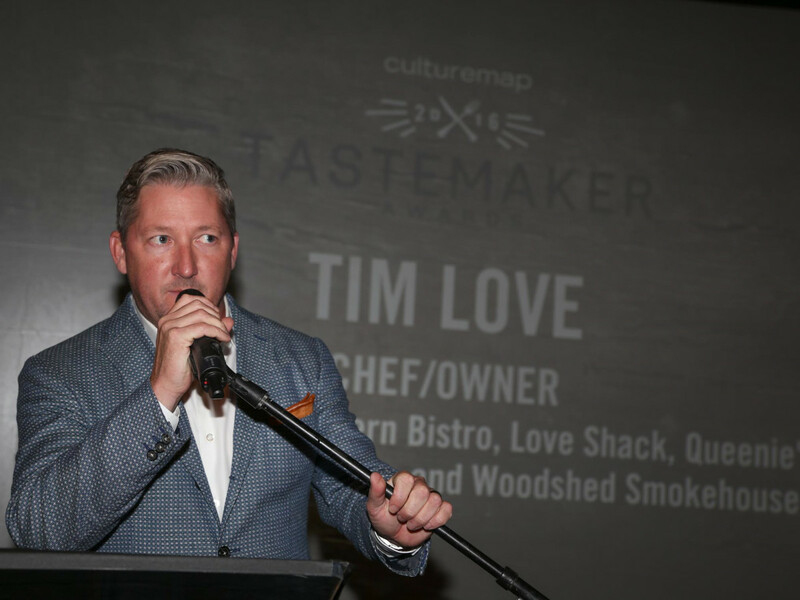 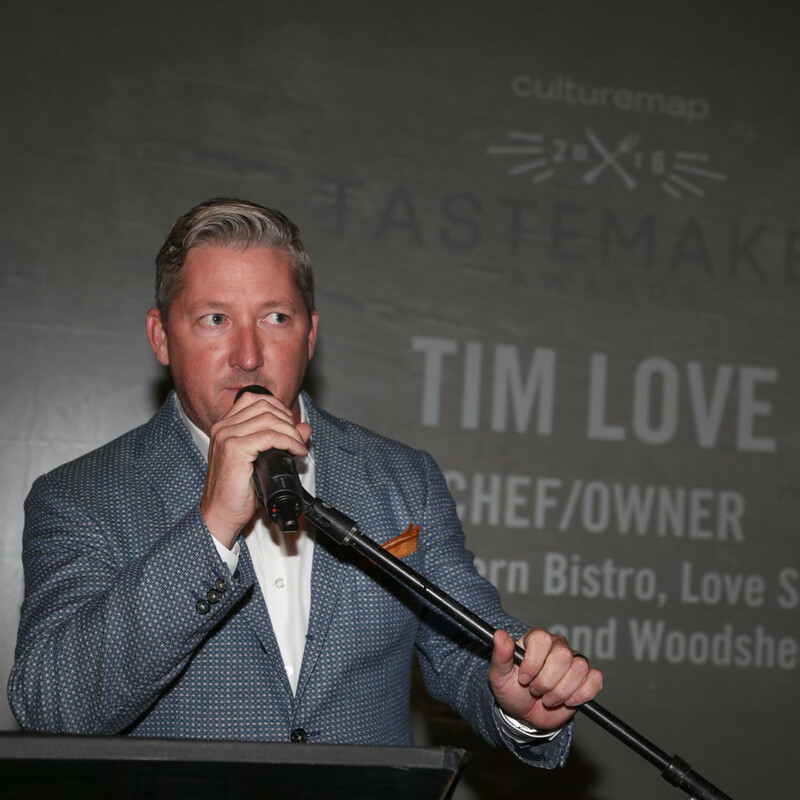 Beloved Texas chef Tim Love (owner of Lonesome Dove and a founder of the Austin Food & Wine Festival) served as emcee for the awards program, handing out a total of 13 awards. 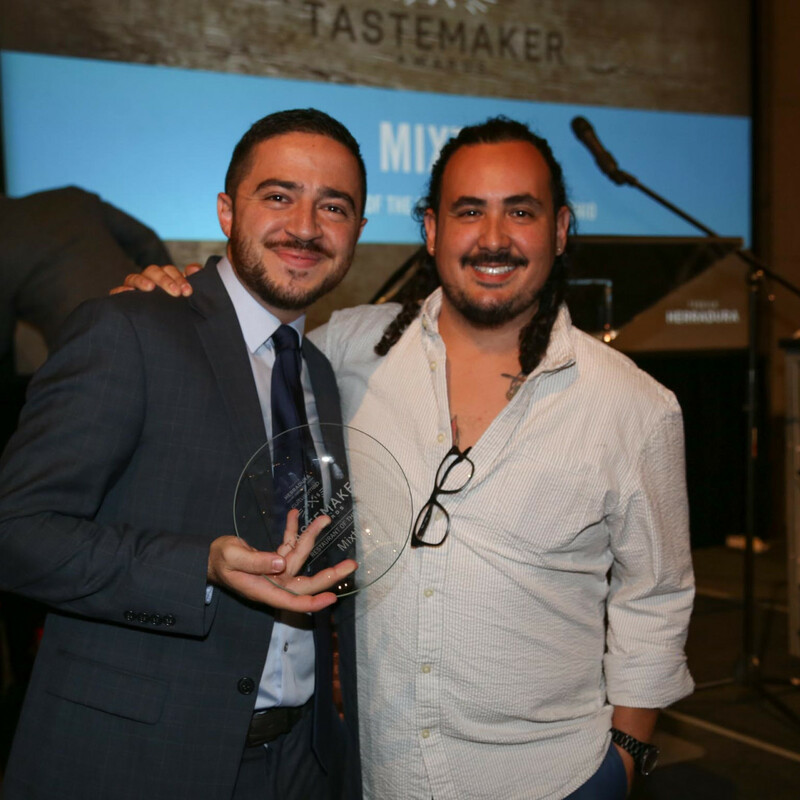 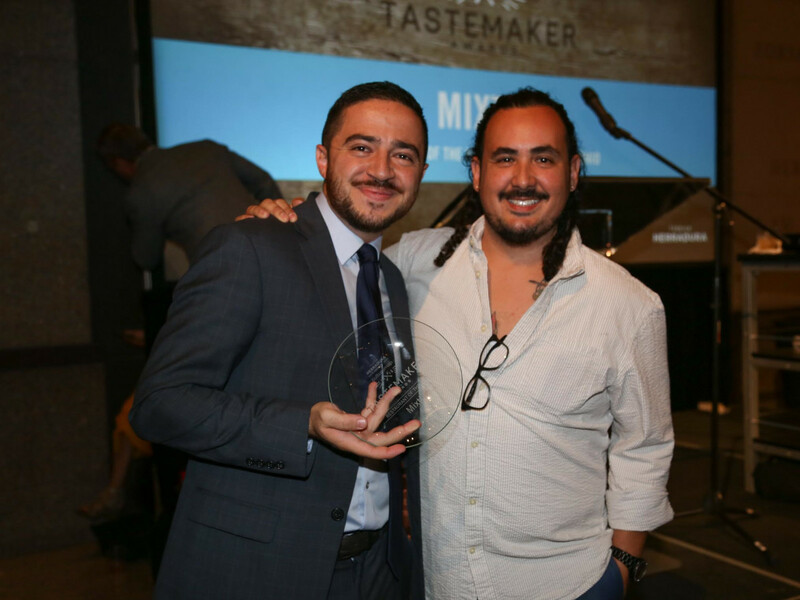 The Townsend racked up the most awards, starting off with its win for Bar of the Year. 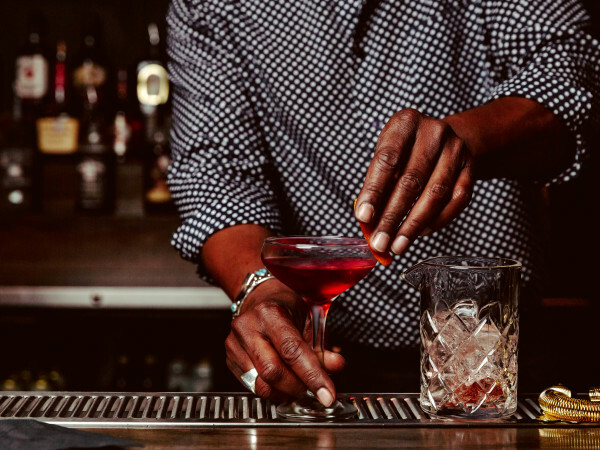 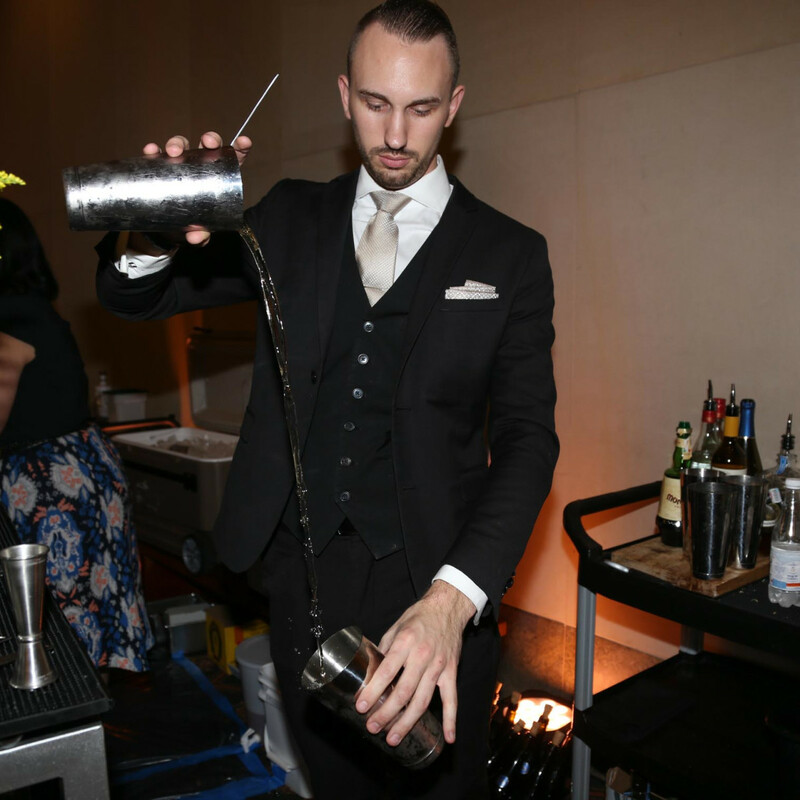 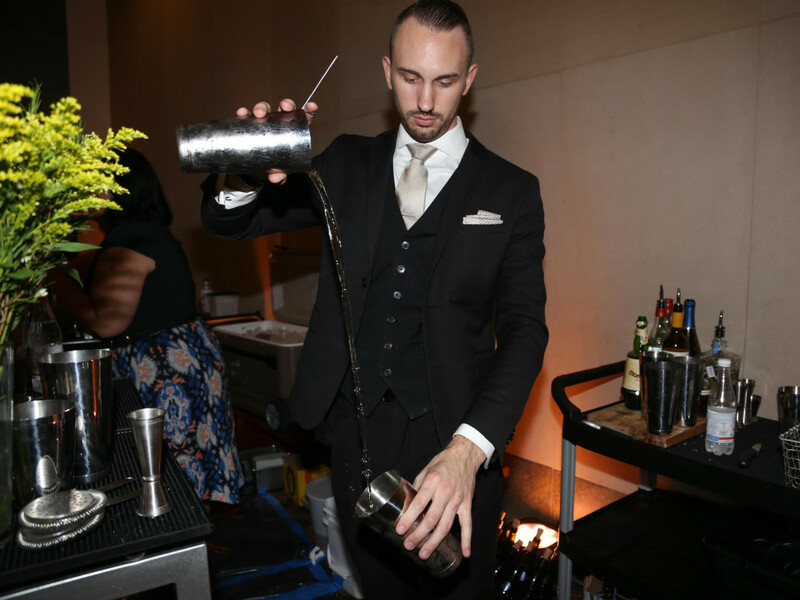 The Townsend’s mixologist Justin Elliott took home Bartender of the Year, and the citrusy herbaceous cocktail he served during the event won the People’s Choice award. 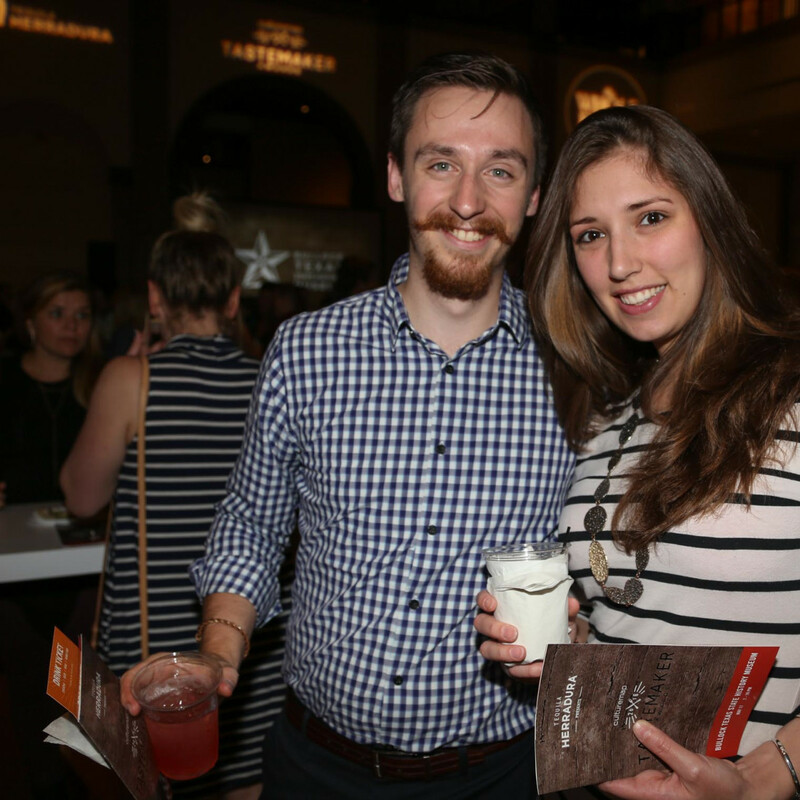 The evening kicked off with a special VIP happy hour in the Bullock’s “Our Global Kitchen” exhibit with sommelier Devon Broglie from Whole Foods Market. 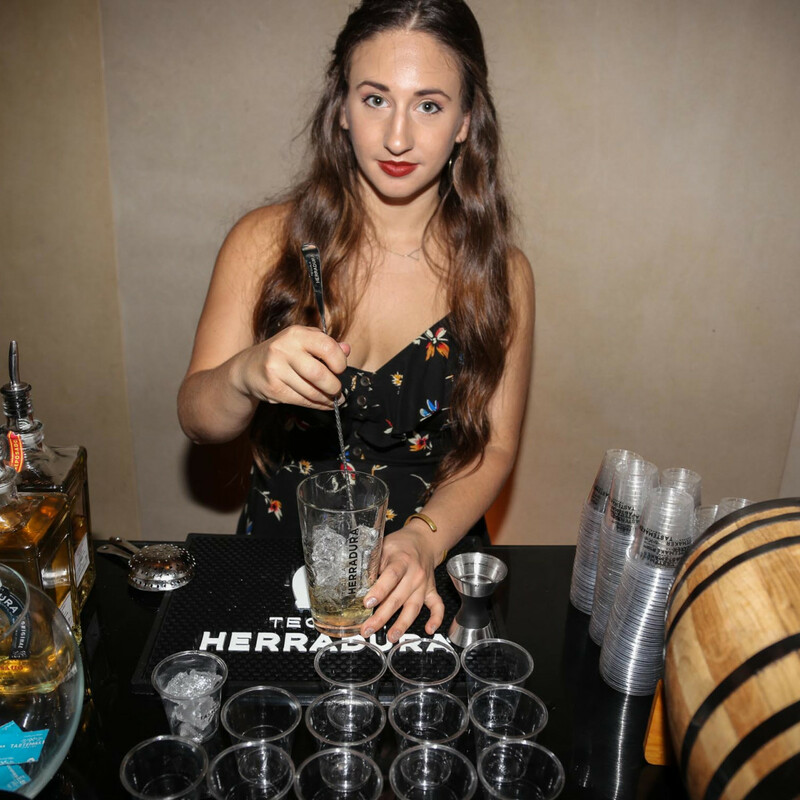 Tequila Herradura cocktails were flowing at the main bars while six Austin bartenders concocted their own creations for guests to sample. 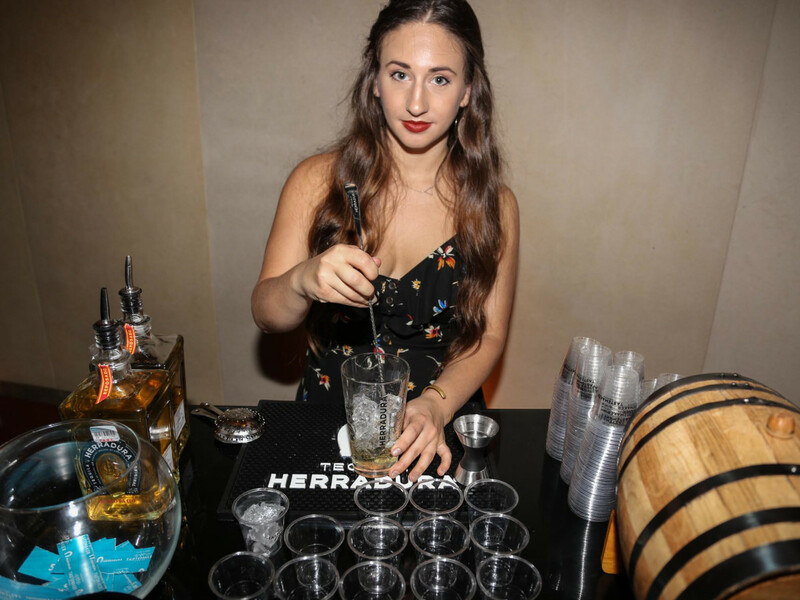 A bubbly bar, sips from Chloe Wine Collection, and beer from Alaskan Brewing Co. helped round out the drink options, while Perrier and Acqua Panna kept guests hydrated. 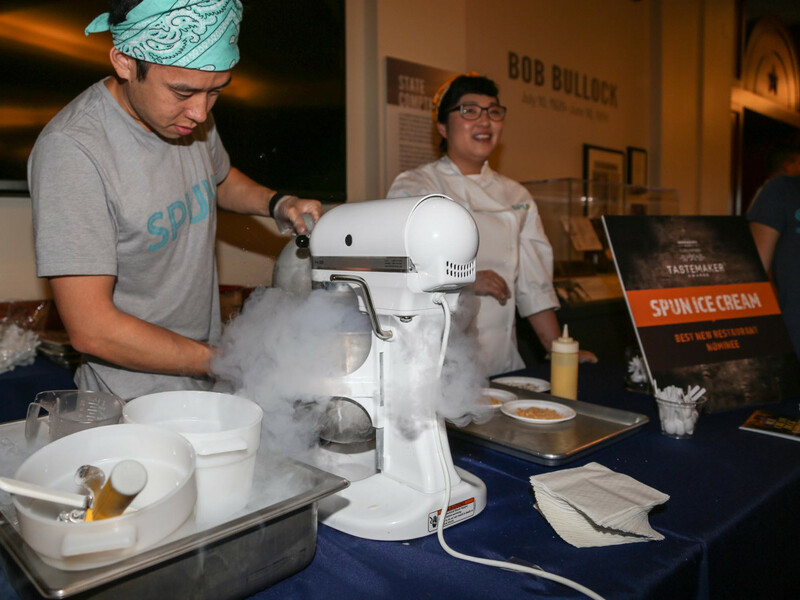 In addition to the bartenders shaking up cocktails upstairs, Spun Ice Cream was in the house whipping up liquid nitrogen treats. 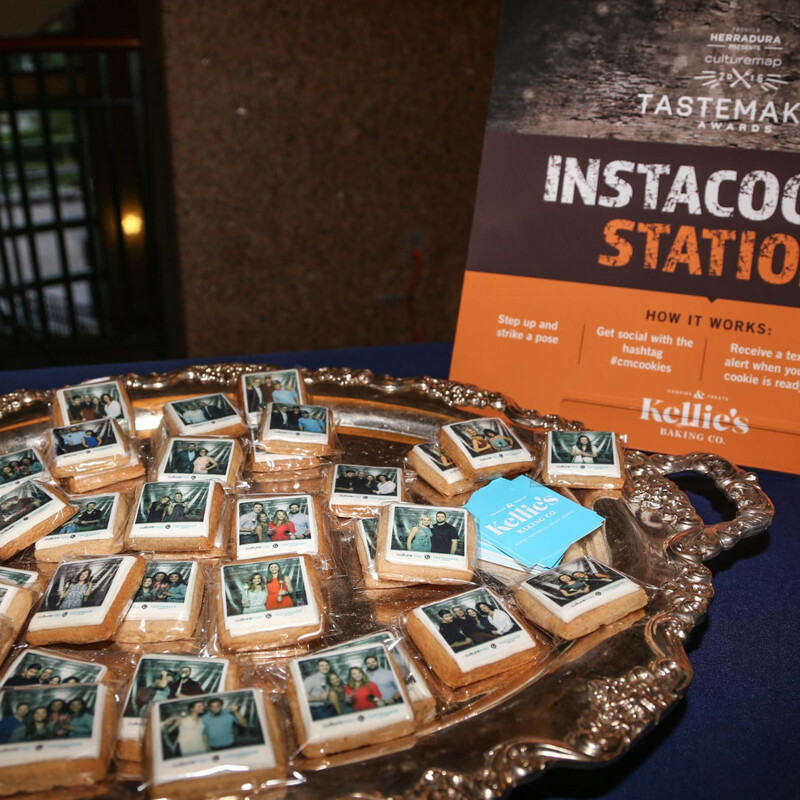 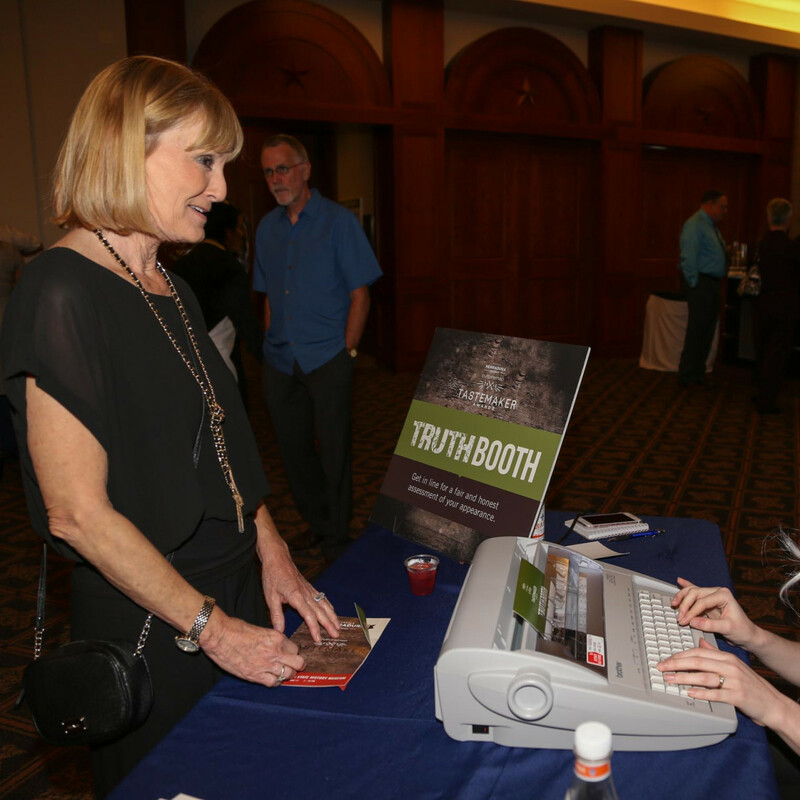 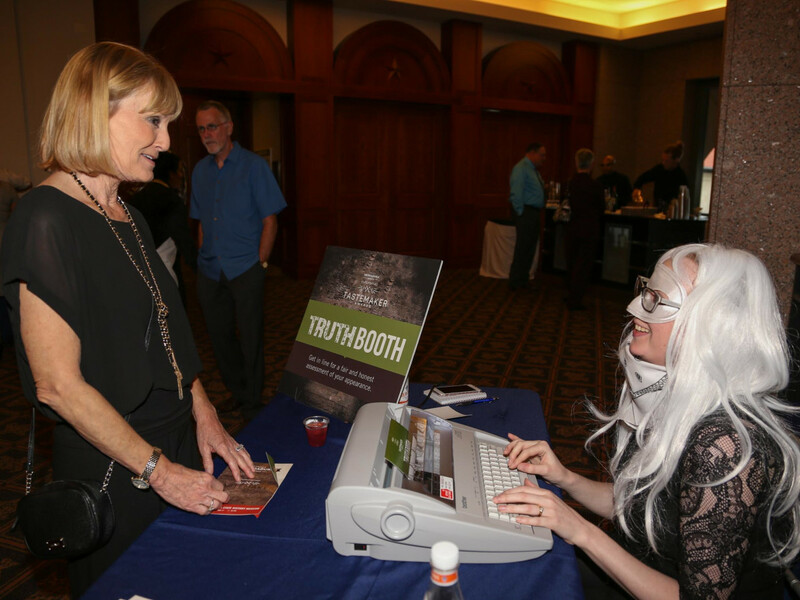 A truth booth gave folks an honest assessment of their appearance, while the Instacookie station from Kellie’s Baking Co. printed photos onto cookies, allowing guests to literally eat their own faces. 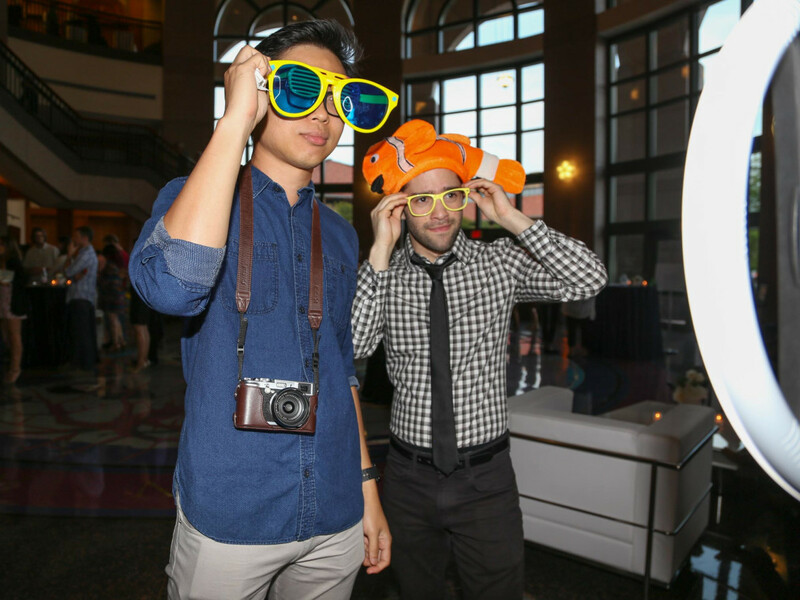 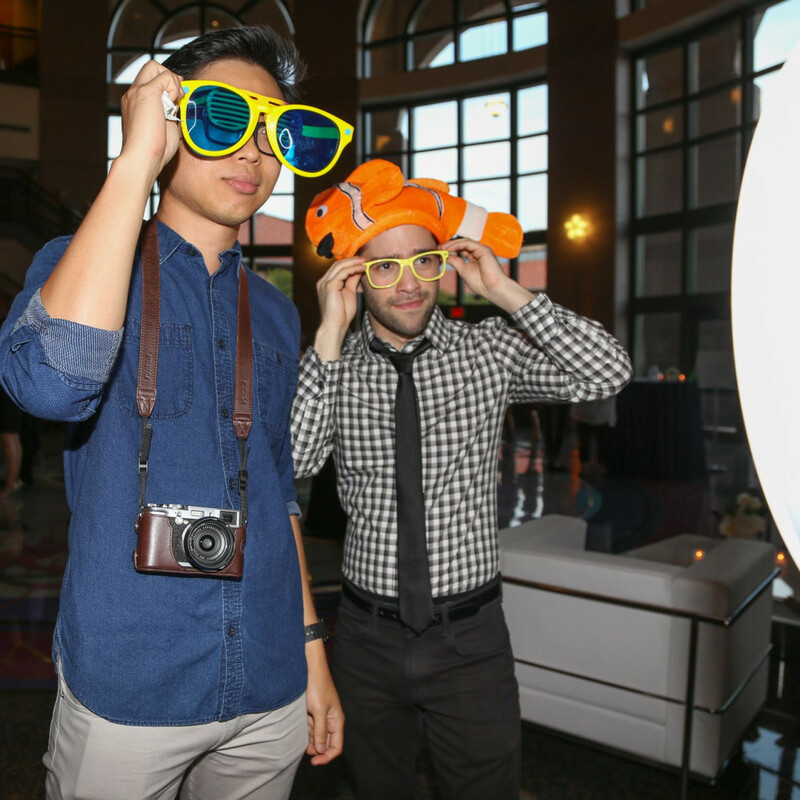 Downstairs, the My Event is the Bomb photo booth created fun GIFs. 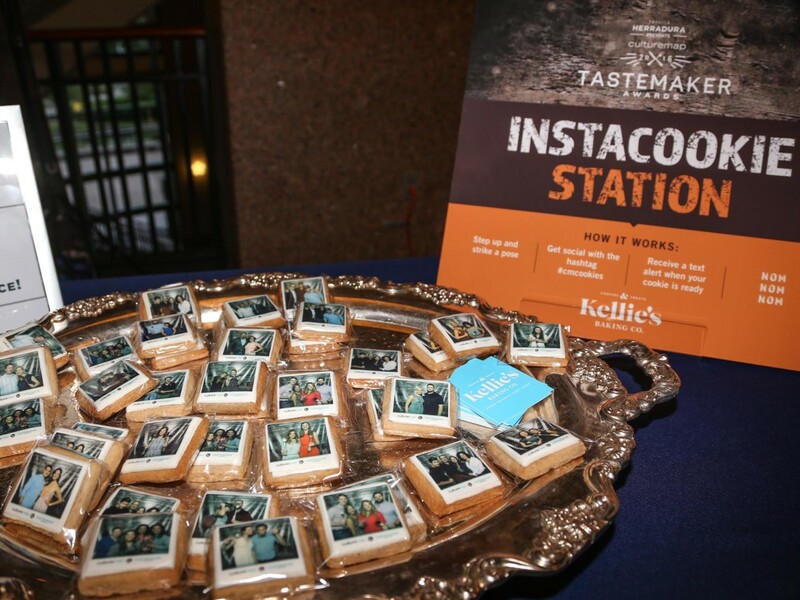 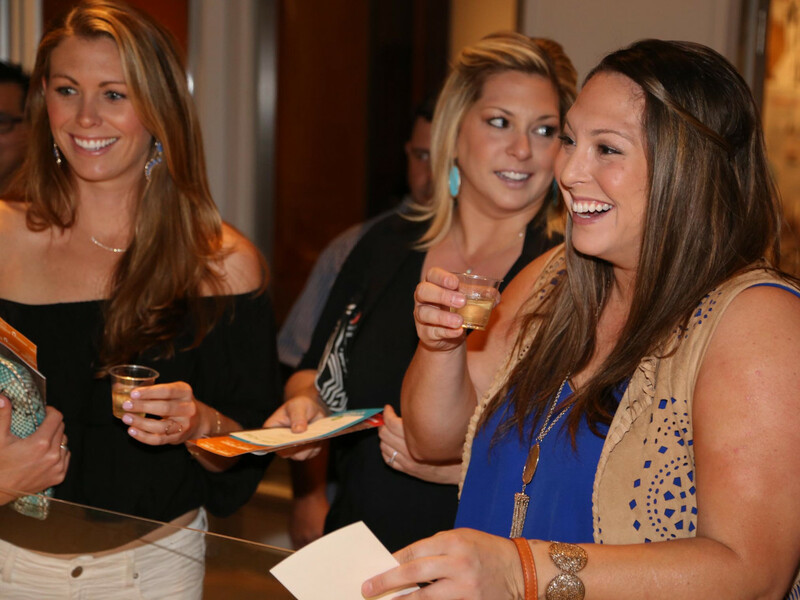 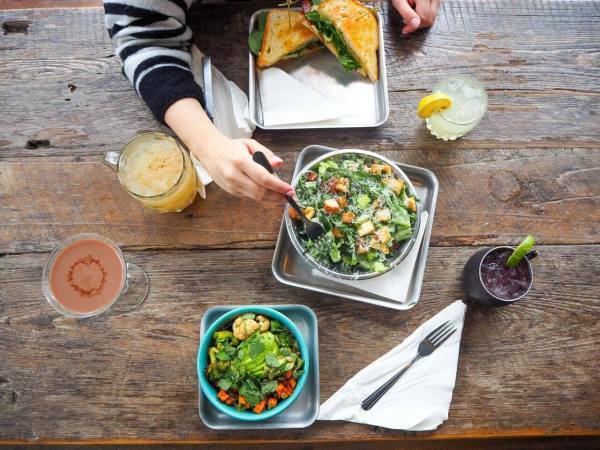 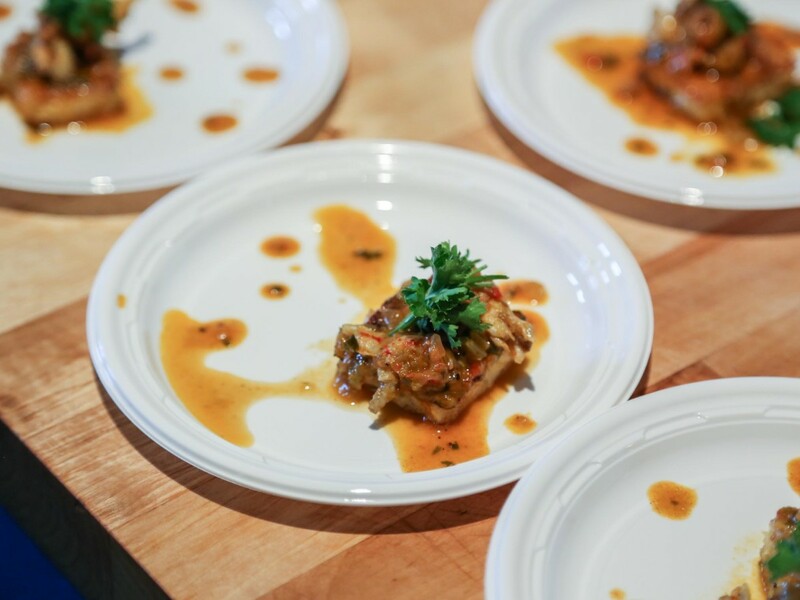 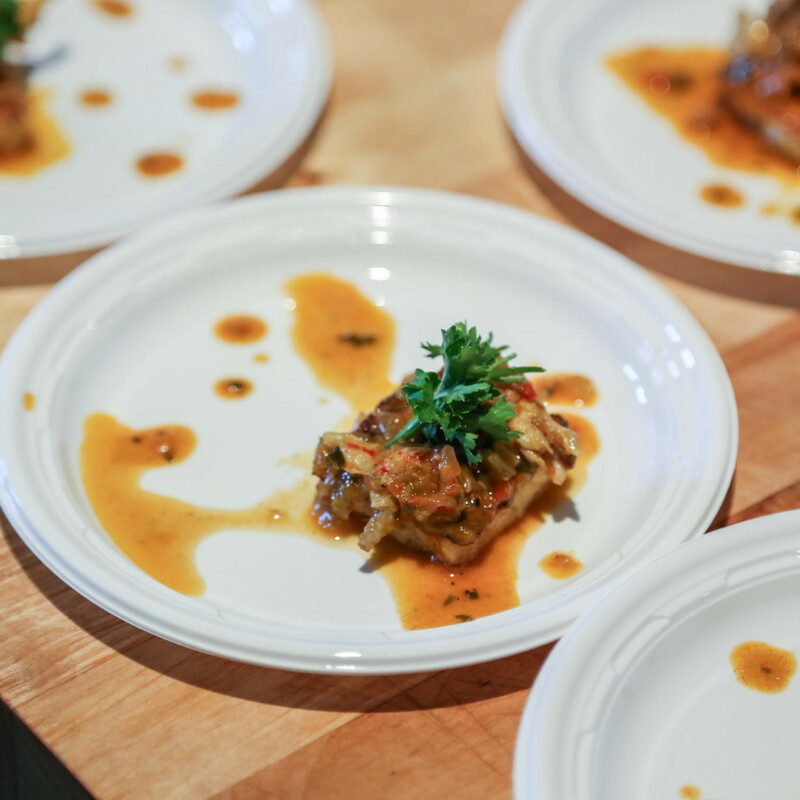 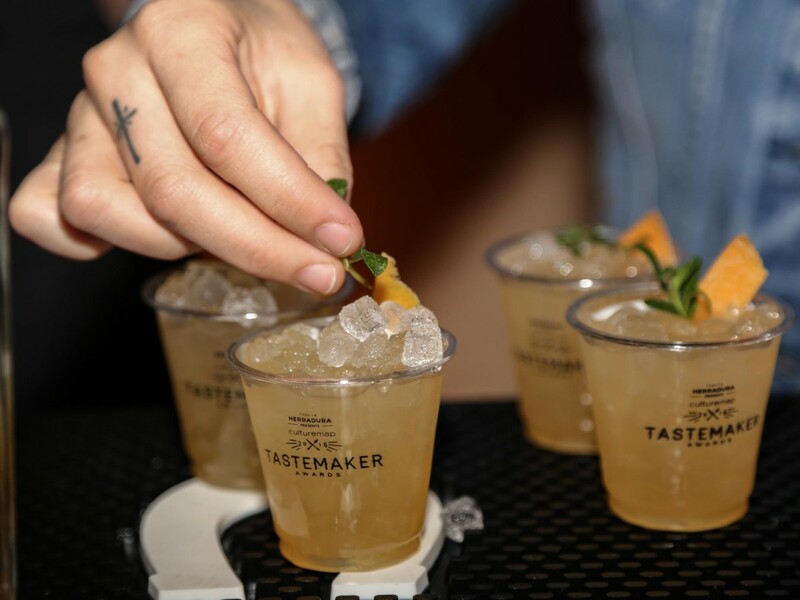 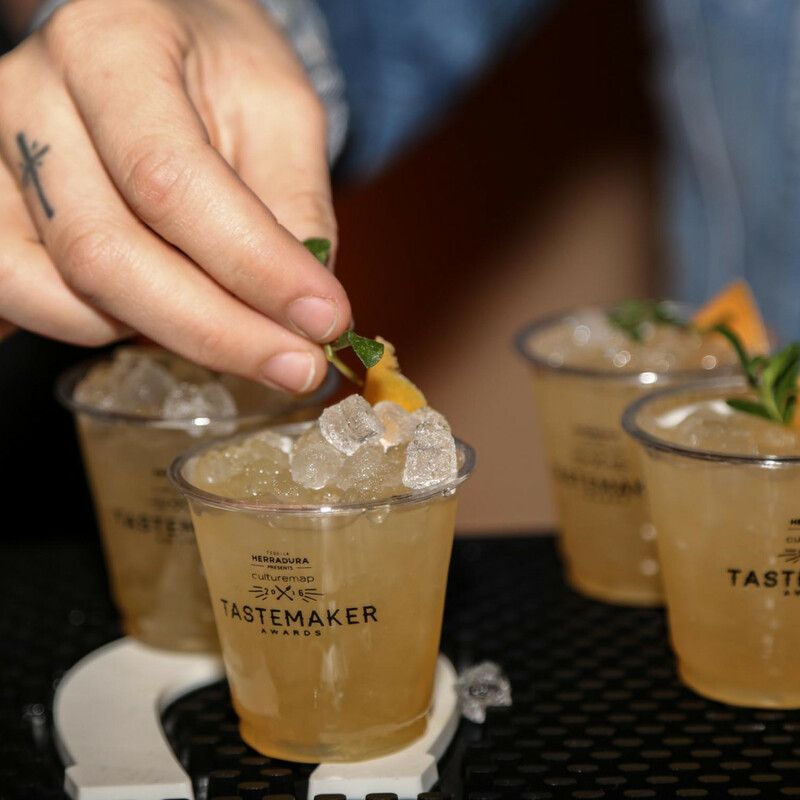 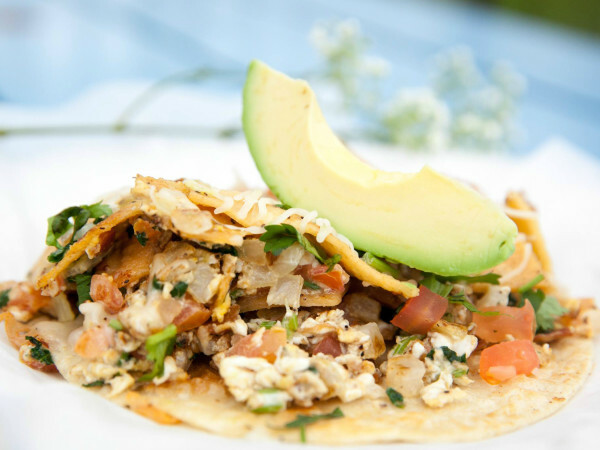 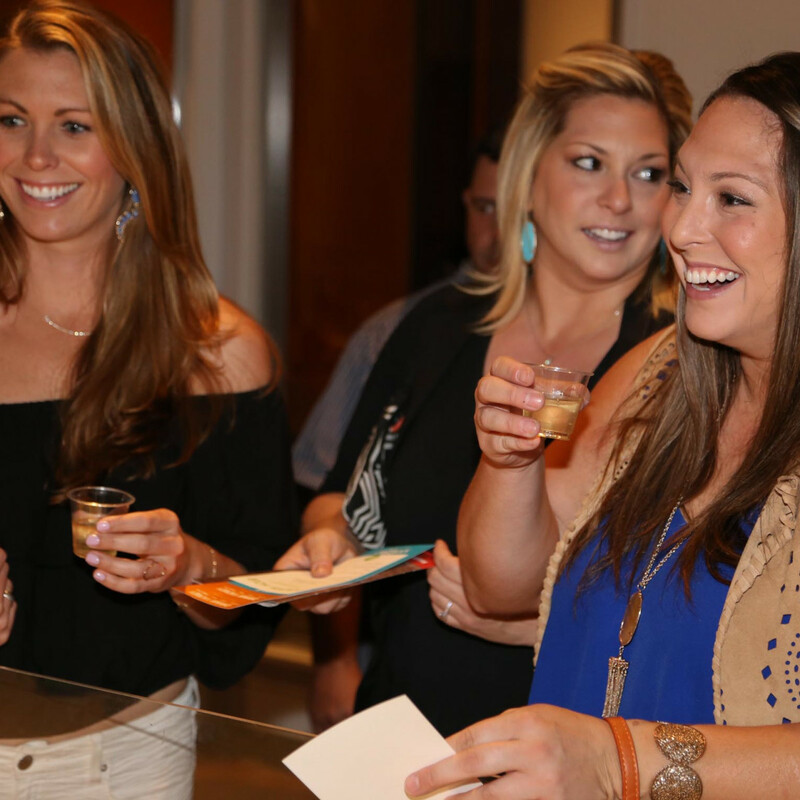 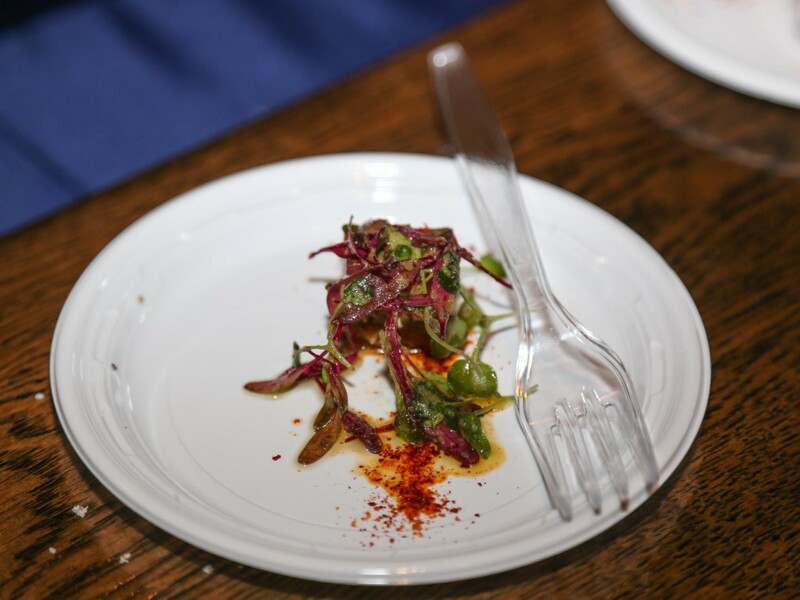 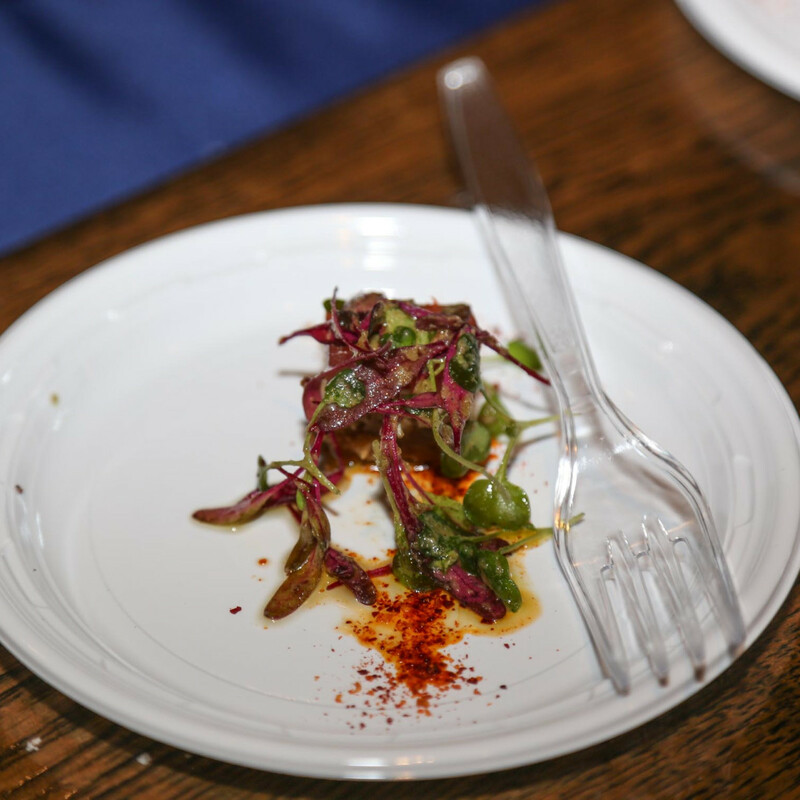 A portion of the proceeds from the Tastemaker Awards supports the Austin Food & Wine Alliance. 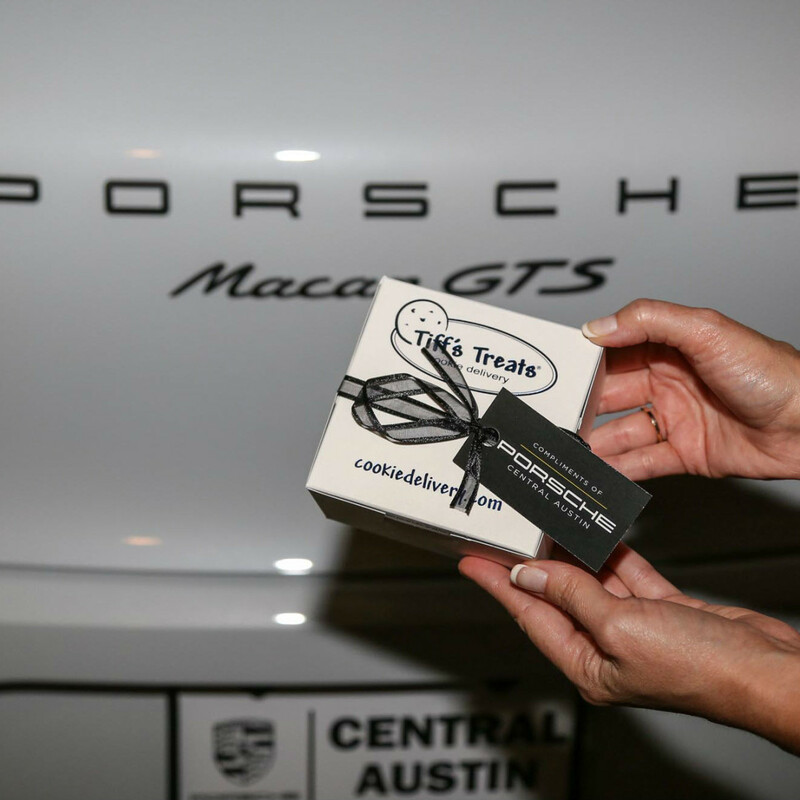 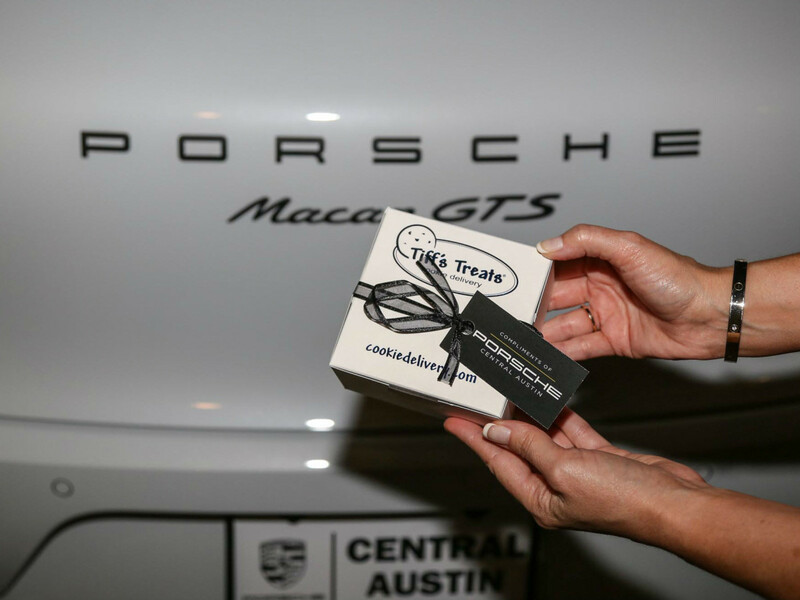 And to top it all off, guests walked away from the event with a little Tiff's Treats care package courtesy of Porsche Central Austin. 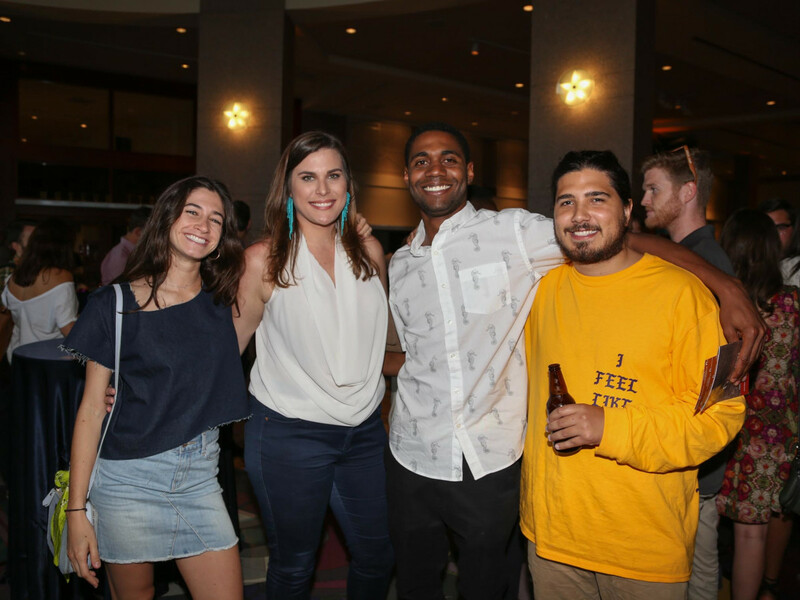 Spotted in the crowd: Kevin Fink, June Rodil, Laura Sawicki, Rene Ortiz, C.K. 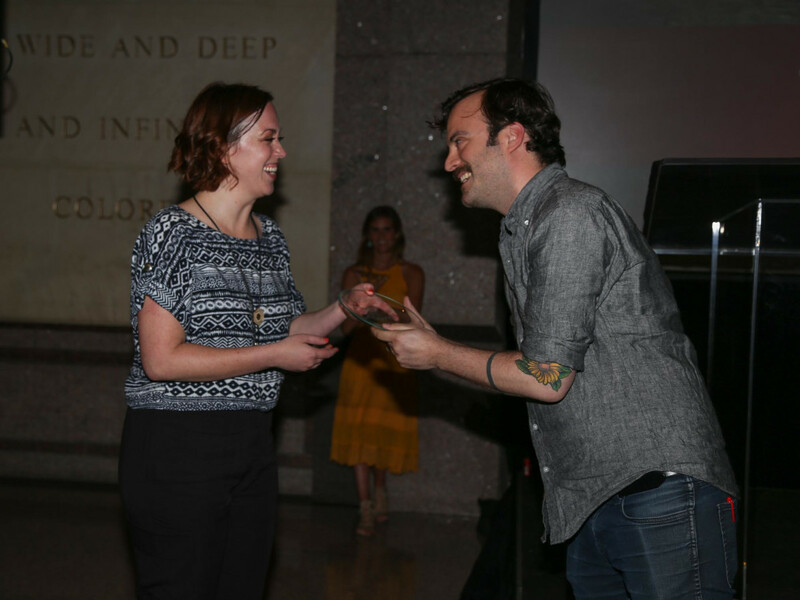 Chin, Billy Hankey, Patricia Sharpe, Justin Lavenue, Michael Fojtasek, Justin Elliott, Jennifer Keyser, Madelyn Kay, Jason Dady, Chauncy James, Todd Havers, Lynzy Moran, Michael Sanders, Jessica Sanders, Marla Camp, Ania Robbins, Natalie Paramore, Melody Fury, Tom Thornton, and Mariam Parker.